From US-31 take Lakewood to Ottawa Beach Road. Black Lake Boardwalk East is on the south side just east of the Coast Guard Station. Black Lake Boardwalk West is just before the entrance to Holland State Park. Learn more about the Ottawa Beach Marina coming spring of 2019! This map shows amenities, parking areas, features and trails. 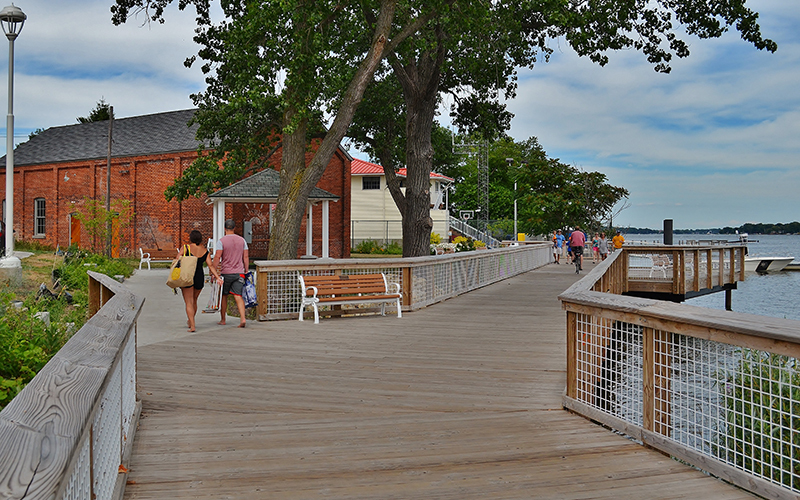 Historic Ottawa Beach Parks include the Black Lake Boardwalks, Mt. Pisgah and the Lake Michigan Beach adjacent to Holland State Park. 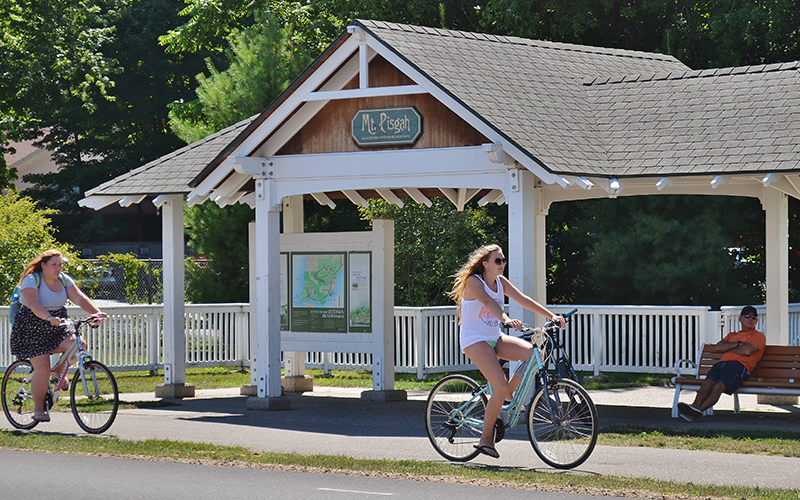 This site, established by the West Michigan Park Association in 1886, is made up of 58 acres that border a number of historic cottages and was once home to the Ottawa Beach Hotel. Learn more about its fascinating history. 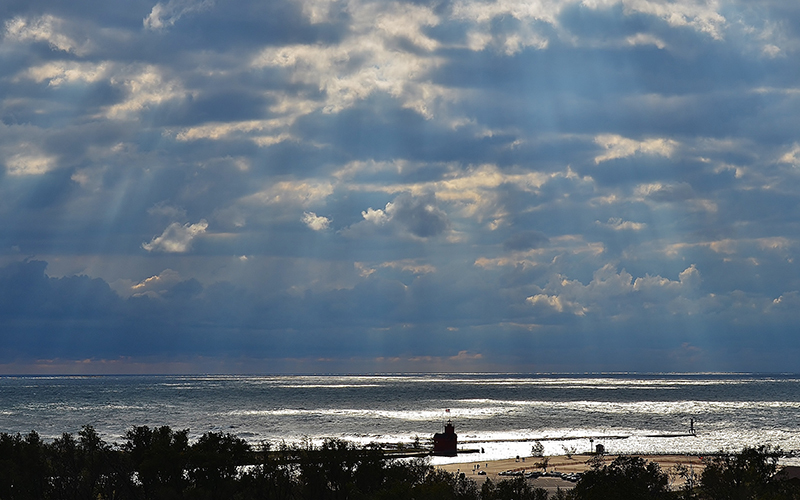 It includes 750 feet of Lake Michigan frontage, 2400 feet of Lake Macatawa shoreline and beautiful wooded dunes which are dispersed between the cottages and Holland State Park. Visitors are encouraged to make the climb up to Mt. 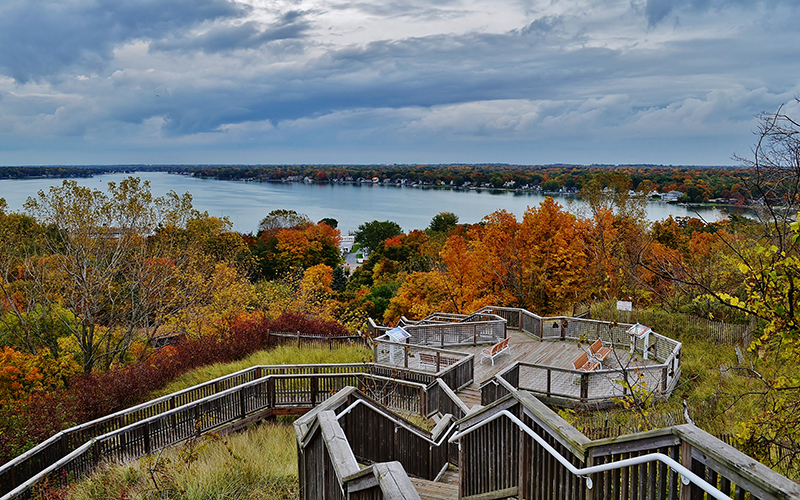 Pisgah and enjoy the panoramic views of Lake Michigan and the surrounding areas. There are no entry fees. Note that there is a two hour limit in parking lot. 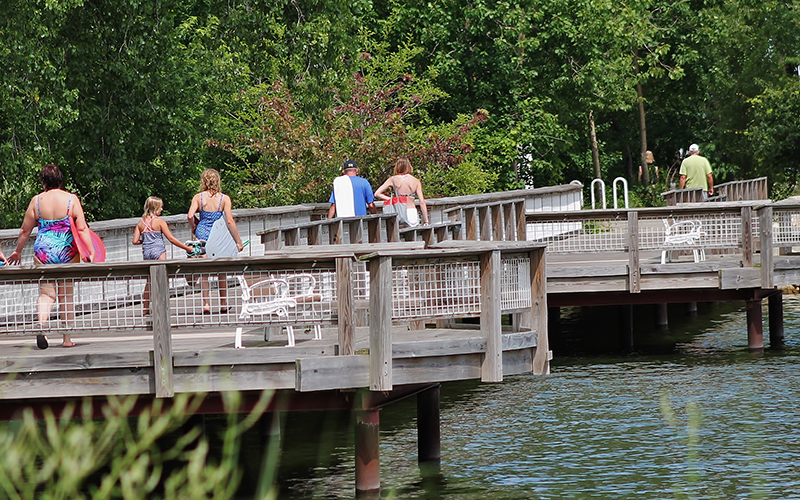 Should you choose to enter Holland State Park, their rules and entry fees apply. Dogs are not allowed at Mt. Pisgah. Dogs are permitted at Black Lake Boardwalk East and West, but are required to be leashed (10’ max) and under control at all times. Dogs are not permitted in park buildings, restrooms, picnic shelters, off-trail, or as posted. Owners must clean up after their pet and dispose of waste in a trash receptacle. Leader dogs for persons with disabilities are permitted at any time. Recognizing that most dogs enjoy running and playing freely, many Ottawa County Open Space Lands allow dogs year-round off leash. *Some parks close in winter or have hours that vary. Select each park for specific park hours.